With the perfect combination of red, green, and white, this bouquet makes the ultimate gift for the holidays. Help your loved ones celebrate the festive season with our specially selected bouquet of Daisy Chrysanthemums, Germinis, Red Roses, and gorgeous lush foliage. 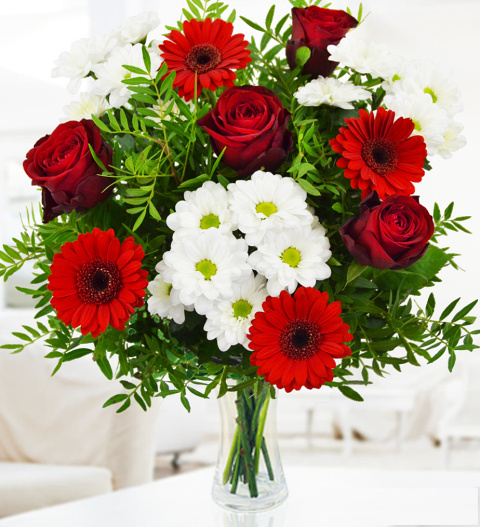 Available for next day delivery in Spain, this luxurious bouquet is ideal for any recipient.